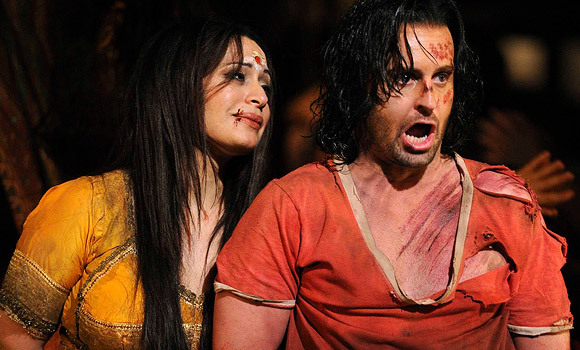 HANAN ALATTAR and ALFIE BOE in a production of “The Pearl Fishers” at the English National Opera. 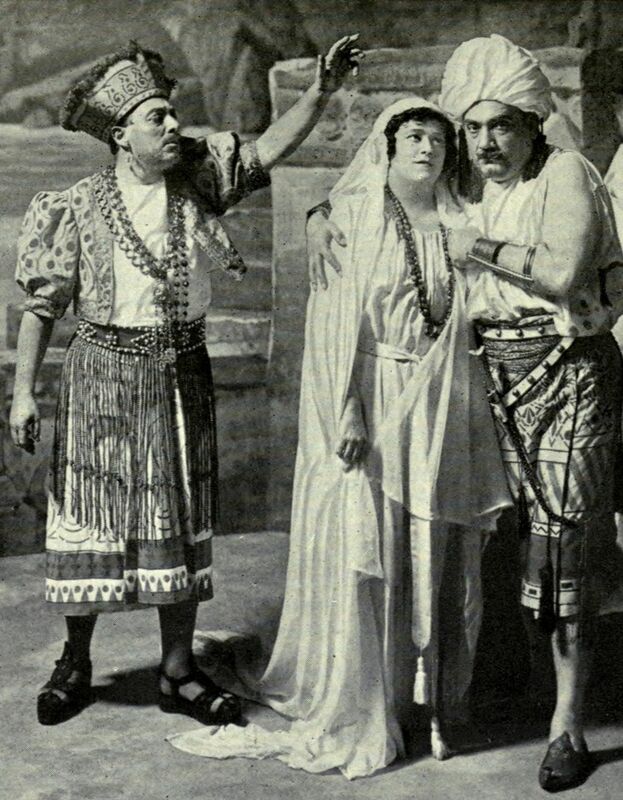 I was happy to see that the Metropolitan Opera’s lineup for the 2015-2016 season includes Georges Bizet’s Les pêcheurs de perles (The Pearl Fishers) which has not been seen at the Met since Enrico Caruso, Giuseppe De Luca, and Frieda Hempl sang it in 1916. Most opera buffs I know have never seen this opera performed, and I have seen it only once—at the late and lamented New York City Opera. This was a relatively early composition of Georges Bizet who ten years later made his indelible mark with Carmen. I’m in the “I know what I like” category of opera fans and no expert. What I read is that the music in The Pearl Fishers betrays the uncertainty of Bizet’s youth (he was 25 years old at the time), but that the libretto by Eugène Cormon and Michel Carré was so poor as to be laughable. Apparently, even they thought so. The work was introduced in Paris with 18 performances in 1863; the public loved it, but the critics didn’t. 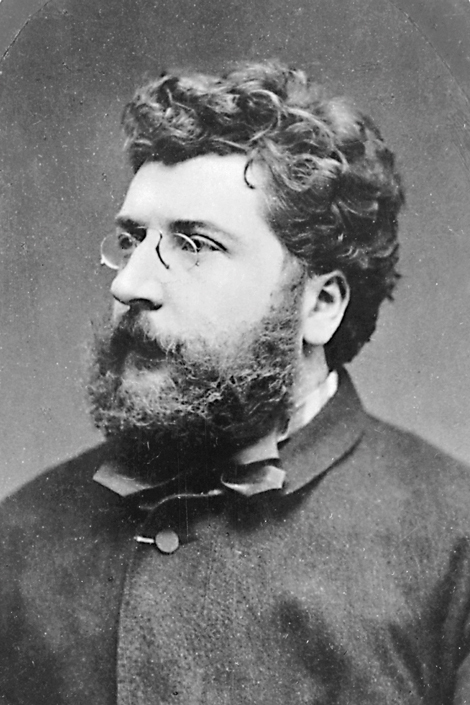 Some of Bizet’s contemporaries in music did find some merit in the score. The Pearl Fishers wasn’t mounted again until after Bizet’s untimely death in 1875, but it eventually became a popular piece, mostly because—whatever its shortcomings—the melodies and orchestrations are infectious. In fact, the tenor and baritone have a duet in the first act that is one of the most popular pieces of operatic music. This duet is called “Au fond du temple saint”—in Italian, “Del tempio al limitar.” The story involves two men, Nadir and Zurga who reunite in Ceylon after Nadir had been absent for some time. These men had once been in love with the same woman, but had promised each other that they both would renounce her so as to preserve their own friendship. In this duet, the men speak dreamily about the beauty of this woman, but then they reaffirm the promise they had made. This is in the first act, so the reader can imagine what comes next. I never get tired of this duet, which I had heard many times before I ever saw the opera. The beauty of the melody and the blending of the voices reach some sublime level of artistry. I once gave a recording of the Italian version of this duet to the artistic director of a major theater here in New Jersey, and he later told me that he wept when he first listened to it. That had never happened to me, but I understood. My favorite recording of this duet is by Beniamino Gigli and Giuseppe De Luca. You can hear it by clicking HERE. You can hear Count John McCormack and the baritone Mario Sammarco sing it by clicking HERE. A somewhat more contemporary performance, sung in the original French by Placido Domingo and Sherrill Milnes, is HERE. 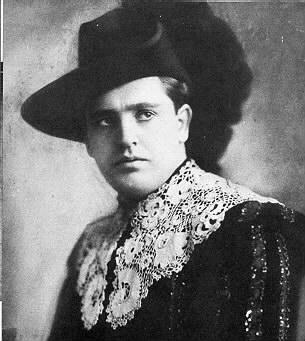 When I was about ten years old, my mother took me to see the MGM movie The Great Caruso, in which Mario Lanza played the title role, the tenor Enrico Caruso. Despite my age, I became absorbed in both singers. At first I nagged my mother to buy vinyl for me, but eventually I was old enough to do it on my own. All that vinyl is down in the living room right now, along with hundreds of other 33 rpm disks that include doo-wop, rock ‘n’ roll, country and western, swing, easy listening, opera, and classics. At any rate, we recently tried to find The Great Caruso on Amazon and Netflix and came up empty, so we settled for Lanza’s last film, the 1959 romantic comedy For the First Time. This film was popular in its time, it got some good reviews, and it was a financial success. This was strictly entertainment, not to be taken seriously, largely an excuse for Lanza to sing — which was a good thing, because opportunities to hear him were much more limited in those pre-iPod, pre-internet days than they would be today. He sings operatic arias and in operatic ensembles, and he sings Italian folk music and popular songs. It’s all good except, from my point of view, “Pineapple Picker,” a song that had no business being in the same room with Mario Lanza. Lanza plays Tony Conti, a world-renowned if unreliable tenor. In the flamboyance he exhibits at the beginning of the story, Conti resembles Lanza. After an embarrassing episode in which Conti’s drinking and tardiness cause a Vienna concert to be cancelled with the audience already in the seats, Conti’s agent spirits him off to Capri to lay low until the bad publicity runs its course. There, Conti meets a young German woman, Christa, played by an irresistible actress named Johanna von Koczian, and they are mutually smitten. Johanna, of course, is deaf. (Get it? He’s a famous tenor; she can’t hear him sing.) At the point in the movie at which Tony and Christa meet, I said to my wife, Pat, “In the last scene, she’ll be sitting in an opera house listening to him hit those high notes.” Meeting Christa jolts Conti to the point that he stops drinking and womanizing and becomes responsible about his career. He is practically broke as a result of his shenanigans up to this point, but he takes on a series of performances in various cities of Europe and plans to visit — you guessed it! — the best ear specialist at each stop. No doubt, you can figure out how such a plot turned out in 1959. 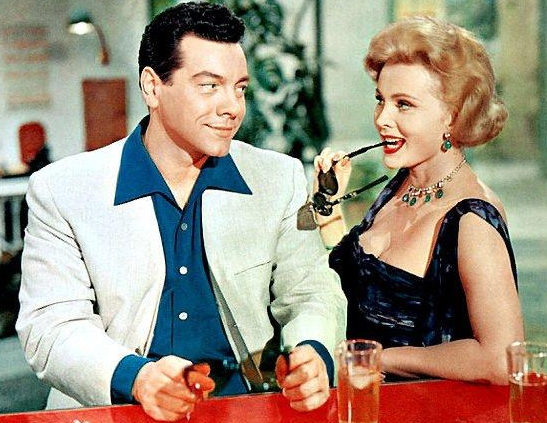 Mario Lanza, who was 38, died a few months after this film was released. He looked well and vigorous in the film, his voice — dubbed, of course — was full of the power and earthy passion that had made it famous and he projected the boyish charm that endeared him to the public. This was the sort of movie theme — a romance on the Continent – in which audiences of that era would expect to encounter Zsa Zsa Gabor, and they weren’t disappointed. Zsa Zsa played a countess who had a sporadic affair with Tony, as she did with lots of other prominent men. She was 42 and at the height of her beauty when this film was made and her performance had none of the grating personality she adopted for late-night television shows when her looks would no longer carry her. 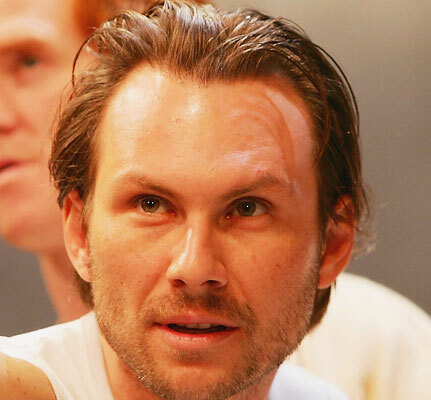 Kurt Kasznar is comical as Tony’s beleaguered manager and protector, and I particularly liked Hans Söhnker’s sympathetic and believable performance as Christa’s uncle. Due in large part to his personal habits, Lanza’s career was much shorter than it should have been, but he left behind a wonderful legacy of recorded music. Although he appeared in complete operas only a few times, he played an important cultural role by being one of the first singers to make operatic music popular among a mass audience. Prominent tenors even now often acknowledge their debt to him. The film closes with Conti, as Rhadames, singing in the ensemble that closes Giuseppe Verdi’s Aida. You can see that scene by clicking HERE. My wife, Pat, who is reading Adriana Trigiani’s novel The Shoemaker’s Wife, has mentioned two characters in the story who are familiar to me: Enrico Caruso and Geraldine Farrar. We like to say, even though it can’t be demonstrated, that Caruso was the nonpareil of tenors, and Farrar, his contemporary, was a popular soprano and film actress. She was a member of the Metropolitan Opera Company for 17 years, singing 29 roles in some 500 performances, frequently appearing with Caruso. She had a particular following among young women, and they were known at the time as “Gerryflappers.” I was young when I became a fan of hers, too, but that was nearly 30 years after she had retired as a singer. A kid of eclectic tastes, when I came home from the record store on most Friday nights, I could be carrying doo-wop, country-and-western, American standards, or opera. I bought many discs with cuts by Caruso, Farrar, or the two of them together. 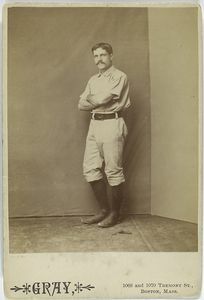 A biographical detail about Farrar that particularly appeals to me is the fact that her father, Sidney, was a major league baseball player from 1883 to 1890. A first baseman, he played most of his career for the Philadelphia National League franchise. In his last season, he bolted to the maverick Players League, still playing in Philadelphia. He appeared in 943 games and, in the dead-ball era, had 905 hits and a .253 batting average. When Sid Farrar was through playing baseball, he opened a men’s clothing shop in Melrose, Massachusetts, in partnership with Frank G. Selee, a Hall of Fame major league manager. 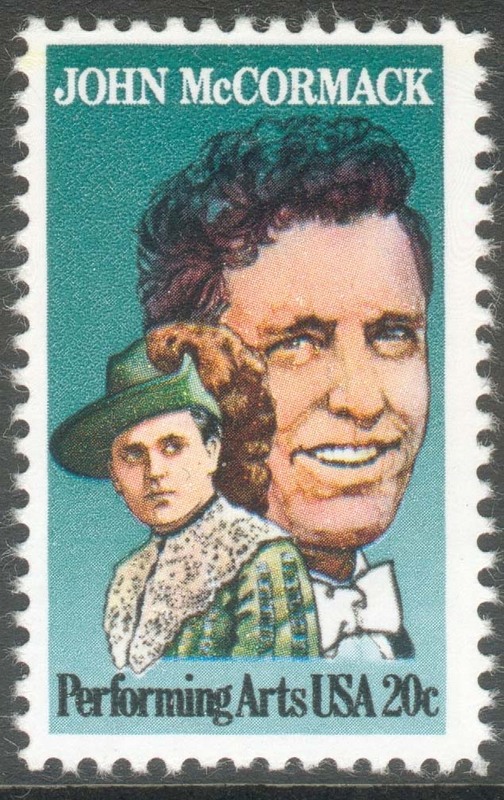 Farrar and his wife, Etta, were singers in their own right. Farrar was a baritone, and it was said of him that if he was speaking in what, for him, was a conversational tone of voice on one side of a street, he could be clearly heard from the other side. 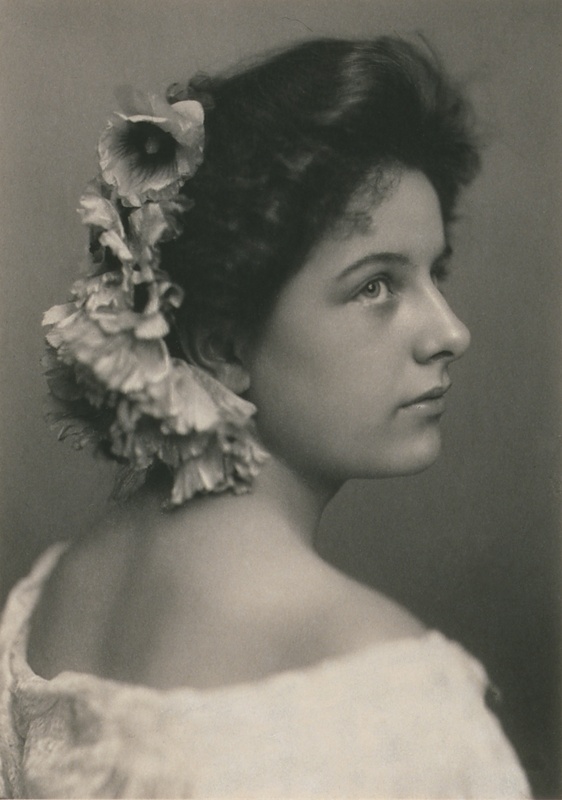 When Geraldine went to Europe to study voice, her parents went with her and remained on the Other Side until Geraldine had made a name for herself in Berlin, Munich, Salsburg, Paris, and Stockholm and returned to the United States in 1906. In later life, when he had been widowed, Sid Farrar was a familiar figure at Geraldine’s concerts, and she said that he was often surrounded by other old ballplayers who may have looked a little out of place in the classical concert hall. It dawned on her, she said, that those old guys weren’t there to see her; they were there to see her dad. One of my favorite Caruso-Farrar recordings is their 1912 rendition of “O Soave Fanciulla” from La Boheme. Click HERE to hear it. 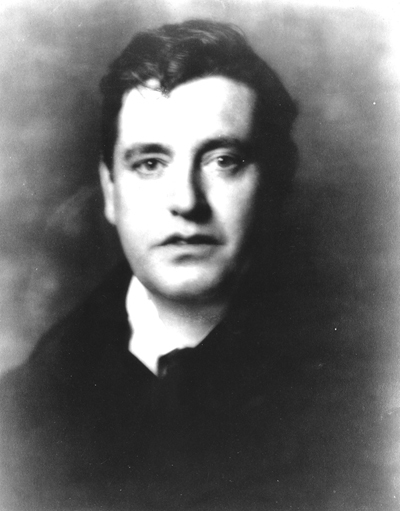 National Public Radio is running a series on “50 Great Voices,” and I was pleased to hear the other day that one of my favorite voices has been included — that of the Irish tenor John McCormack. You can follow the unfolding of “the list” by clicking HERE. I would have expected Enrico Caruso to be on the list – and he is – but Caruso has endured as an icon ala Babe Ruth. The name Caruso is known far outside of the circle of opera buffs; his name is a synonym for “singer.” McCormack, on the other hand, is known these days mostly by the musty crowd that lives with one foot in the distant musical past. People like me, for instance. I developed an interest in McCormack when I was in my early teens. This came as a blow to my mother, because she was already getting auditory indigestion from the olio that poured out of my hi-fi: one minute Bill Haley & His Comets, the next minute Bach’s Mass in B minor, the next minute Florian Zabach’s violin, and the next minute Hank Williams. Mom preferred Zabach. I stumbled across McCormack after I bought four LPs by the Italian tenor Mario Del Monaco. Listening to those discs launched me into a lifelong fascination with tenors, and I accumulated recordings by dozens of them, ancient and modern. It was inevitable that McCormack would be included, because he was a prolific performer, including many recordings. Connecting with McCormack also opened my ears to Irish music, because, besides his operatic career, he was a mainstay on the concert stage and his repertoire included the songs of his native Ireland. I found these irresistible because the melodies and lyrics are laced with both humor and melancholy. I acquired recordings by other Irish tenors, too, but no one seemed to approach McCormack. Very early in his career, McCormack sang under the name Giovanni Foli, deriving it from the name of his lifelong sweetheart and longtime spouse, Lily Foley. He was wildly popular at the height of his career and he earned, and spent, enormous amounts of money. He was also the soul of charity and was particularly generous with his time and his own funds in supporting the American effort in both world wars. He became an American citizen in 1917, a decision that wasn’t well received back home, and he took his citizenship seriously. He also supported many other causes, including the Catholic Church, and the Church bestowed many honors on him, including the hereditary title of count. 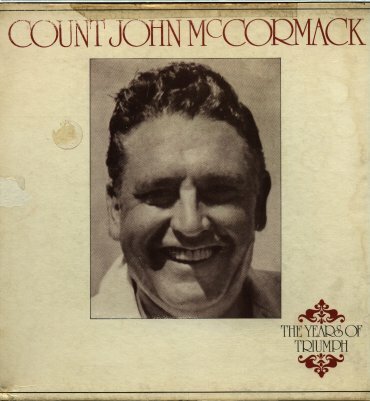 Some of McCormack’s songs are available at the NPR site and at the web site of the John McCormack Society, which is at THIS LINK. After we watch a movie, we get a kick out of going to the International Movie Database site and check on the “goofs” that others have found in the film we just saw. We are amazed sometimes at the obscure things that people notice. For example, we recently saw “The Blind Side” and were amused to read on imdb that in the scene in which the actor playing Michael Oher is talking to an NCAA official, a Maggiano’s Little Italy restaurant is visible through the office window, whereas – the “goofs” page points out – there is no Maggiano’s in Memphis, where the story took place. So the other night we watched on TV the 1993 movie “Untamed Heart” with Marisa Tomei and Christian Slater. There is a scene in that movie in which Slater’s character shows Tomei’s character a box containing several vinyl LPs that had been given to him by a nun when he left an orphanage. He puts one of the LPs on a turntable, and the first cut is a recording of Roger Williams playing “Nature Boy,” a song written by Eden Ahbez in 1947. At the end of the film, when Slater’s character has died, Tomei puts the same record on and listens to the same recording. What imdb’s “goofs” page has missed so far, is that the jacket that that LP was taken from in both scenes is the RCA album “Enrico Caruso in Opera and Song.” I have owned that album for several decades and have played it enough times that I spotted the images of the tenor on the back of the jacket both times that it appeared in the film. I’m old, but I’m still awake. We have attended several of the Metropolitan Opera’s live theater broadcasts — most recently “Aida” last Saturday. If you haven’t tried it, you should. Not an opera fan? That could be just the point. Seeing these operas on the big screen with cinematic camera shots is a different experience from the crow’s nest at the Met. For anyone who has been thinking of taking a first look at opera through this program, I strongly recommend “Carmen” on January 16. Buy early and show up at the theater an hour before the broadcast. These broadcasts all sell out. The next opera we’re going to see is “Turandot” on November 7, and we’re very interested in Verdi’s “Simon Boccanegra” on February 6, both because we’ve never seen it and because Placido Domingo will appear in a baritone role. He sang it for the first time last week in Europe. This business of a singer switching ranges is rare but not unheard of. 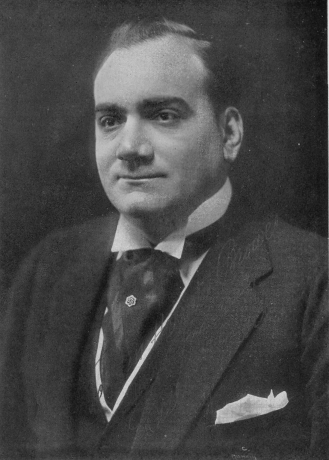 Enrico Caruso, is should be no surprise to learn, could sing well in all three male voices and made a recording, which is still available, of “Vecchia Zimarra,” a basso aria from Giacomo Puccini’s “La Boheme.” That aria is often overlooked — after all, the tenor doesn’t sing it — but it is touching, especially in the context of the story. Colline is about to sell his old coat to buy medicine for the dying Mimi. What’s even more interesting than that recording is that Caruso once sang that aria during a performance in Philadelphia. The basso, Andres de Segurola, had complained earlier of a sore throat, and Caruso — who was singing Rodolfo — anticipated trouble. Sure enough, de Segurola signalled that he couldn’t sing “Vecchia Zimmara,” so Caruso sang it while the basso mouthed the words. The audience, for the most part, was unaware of what was occurring. That’s de Segurola at the left in a caricature drawn by Caruso. That Jackson could command such an audience is testament to the kind globe-straddling star power that was possible in an earlier, simpler entertainment age. Amid today’s fragmented popular culture, in which an unlimited buffet of mass media has segregated consumers into niche-oriented tribes, Jackson was arguably one of the world’s last superstars. I don’t know that either niche marketing or a need for innovation supports the bold prediction that no one after Jackson will be able to appeal to a global audience. Luciano Pavarotti, for example — whose estate was worth about a half billion dollars the last I read about it — appealed to millions of people all over the world, including people who knew nothing about opera, including people who did not want to know anything about opera, and he didn’t appeal to them because he was an innovator — certainly not in the sense that Michael Jackson was. Pavarotti’s performance was pretty much traditional. Whether he was, as a friend of mine claimed, “the second greatest tenor in history,” is a matter of conjecture — and conjecture, I might add, that has no real meaning. Most of those who bought Pavarotti’s recordings, attended his concerts, and watched his television appearances, wouldn’t know if he were second greatest or not. What they knew was that they liked him, and that was all that mattered. The implication of my friend’s remark was that Enrico Caruso was the greatest tenor in history, and Caruso and Pavarotti were alike in this: There was something about each of them that simply appealed to people, including those not normally in the opera crowd. The very fact that the something can’t be quantified, while both tenors’ enormous audiences and coincident earnings can be quantified, should tell us that it’s foolhardy to predict that no such performer will appear again. Susan Boyle’s experience is also instructive. The record-setting video on YouTube featured Boyle, not Jackson. That doesn’t imply any parallel between the two as performers, and that’s exactly the point. Boyle’s appeal was unpredictable. No one saw it coming. And I dare say that even experts in the field, if they had heard Susan Boyle perform before her appearance on the British TV competition, would not have forseen her appeal, which has cut across all the usual borders of musical taste and which, it is important to note, has been a function of a new mode of almost universal communications whose implications and whose future we can’t even imagine. Jackson only got to scratch the surface of the rapidly evolving technology. Even if Susan Boyle turns out to be a comet that will soon fade to black, we don’t know that there won’t be another Susan Boyle who will burst out into the world via YouTube or some unforseen successor to it and re-define the concept of a “star” in ways we haven’t dreamed of.